Red Sea Marine Diving Center offers a variety of scuba diving tours to Sharm El Sheikh, diving in Dahab, technical diving and diving safaris in Egypt and to Sudan. With Red Sea Marine Diving Center you can try diving for the first time, become a certified diver or improve your diving skills. 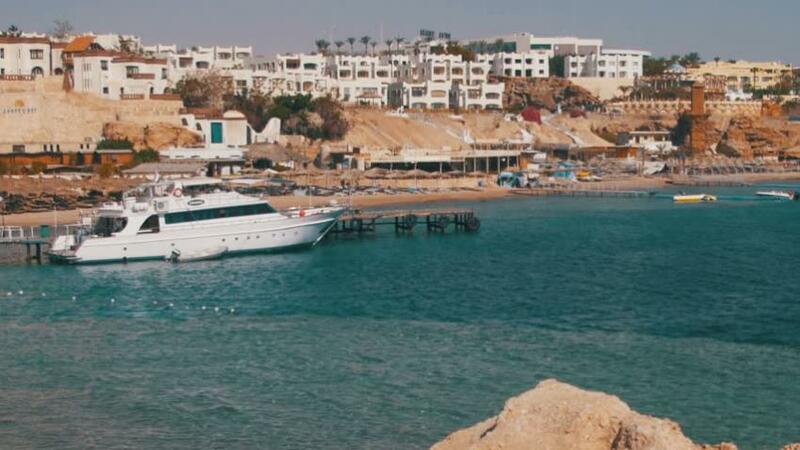 Location Red Sea Marine is located in Hadaba Amr Sina hotel, Um El Sid Hill in Sharm El Sheikh, 10 km from Sharm El sheikh international Airport, 5 km from Naama Bay, 2 km from Old Sharm, 7 km from Port. Instructors & Dive masters Professional group of international PADI and SSI instructors and guides who speak a variety of languages including English, Arabic, Russian, French, German and Spanish. Equipment Description 120 aluminum tanks (DIN + INT) are available which will be filled by 2 compressors and EANx Nitrox is available. The well equipped workshop is also available to guests who are of course supported with equipment problems and advised by our staff. Private equipment is stored in boxes in the diving school and transported by our staff to the dive boat for boat trips. Read before you go When diving with Red Sea Marine a Check Dive is mandatory. If you have not dived for more than 1 year a Scuba Review is required. For all PADI courses each student must have their own PADI manual. Please add the cost of the PADI manual 40 € and the PADI certification fee 35 € to your course price.